This homemade costume for groups entered our 2011 Halloween Costume Contest. Caroline, my 9-year-old loves IZZE drinks. 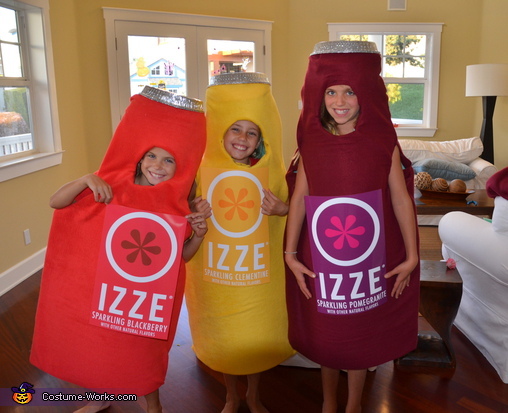 It was her idea to go as IZZE bottles with her friends, McKenzie and Ella. They dressed in their favorite flavors! How did you make this? I want to be it for next Halloween. Hi, I would love to buy your costume for my 10_year old son. Or can you tell me how I can have it made? Hi - I'd love to get instructions how to make it as well if you still have them! thanks!